Today is the birthday of Joseph Griesedieck (July 11, 1863-July 14, 1938). Known throughout his life as “Papa Joe,” he founded the Griesedieck Brothers Brewing Company, along with his brothers, and they later bought the Falstaff label from Lemp Brewing, and turned the brand into the iconic Falstaff Brewery. Griesedieck was a founder of Griesedieck Brothers Brewing Company, later Falstaff Brewing Company. He was a brewer in St. Louis for over 50 years. Born in Germany, Joseph came to the U.S. as a youth, working for a time in breweries in the East. Coming to St. Louis, he managed several breweries before becoming the owner of the old National Brewery & an officer & general manager of the Independent Breweries Company. He owned the Griesedieck Beverage Company, organized in 1917 to manufacture beer & soft drinks, & became president of the Falstaff Corporation, organized in 1921 to make soft drinks. Joseph Griesedieck (born July 11, 1863 in Stromberg, Province of Westphalia; died July 14, 1938 in St. Louis, MO) was one of the most influential brewers in St. Louis in the late nineteenth and early twentieth centuries. From the 1880s to the 1910s, he helped run several city breweries, including the National Brewery Company, the Independent Breweries Company, the Griesedieck Brothers Brewery Company, and the Griesedieck Beverage Company. 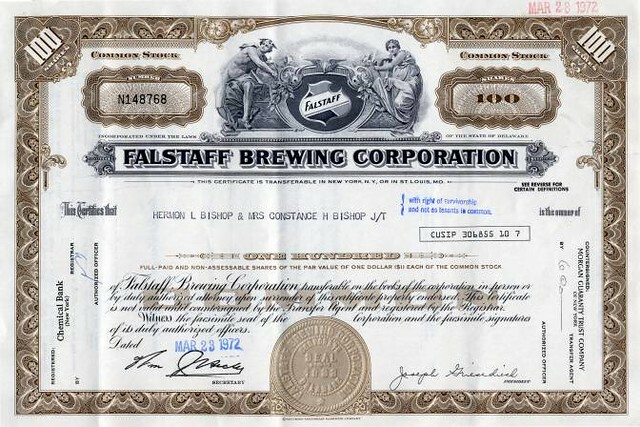 At the outset of Prohibition, he acquired the Falstaff label from the William J. Lemp Brewery Company and built the Falstaff Corporation around it. While many other brewers failed during Prohibition, Griesedieck kept his company afloat by selling “near beer,” soft drinks, carbonated water, and pork products. After the repeal of Prohibition, he obtained the first federal permit to begin brewing beer legally again. Within five years, the Falstaff Brewing Corporation was operating four plants in three states and had gained a national market. By the time Anton opened his saloon, the Griesedieck family had already been involved in the brewing industry for more than a century. In December 1766, his great-grandfather Johann Heinrich Griesedieck had opened a brewery in Stromberg, which is where Anton and his brothers first learned the craft. According to Falstaff company lore, when Anton first began brewing beer in the United States, he used the old family recipe. As late as the mid-twentieth century, the original Griesedieck brewery still operated as a tavern for the lager drinkers of Stromberg. Growing up, Joseph Griesedieck spent much of his time at his family’s malt house, where he learned the trade and did his best to avoid his stepmother. At the age of fifteen, he began an apprenticeship as a practical brewer, thus following in the footsteps of his father and uncles. As part of his training, he worked at A. Griesedieck & Co., his father’s brewery on Twelfth Street and Park Avenue, and at H. Griesedieck Malting Co., his uncle’s malt house. At the malting company, he harvested ice from the Mississippi River to build icehouses and thereby extend the brewing season. During his apprenticeship, he lived at a boarding house, rather than at home, in order to escape his stepmother. In 1882, Griesedieck enrolled at the U.S. Brewers’ Academy in New York. The school’s founder, Anton Schwarz, was recognized as a pioneer and expert in the field. Born in Bohemia, he had studied at the Polytechnic Institute in Prague under Karl Balling, one of the most influential brewing chemists of the nineteenth century. After immigrating to the United States, he became the editor of American Brewer, the country’s first brewing trade journal. Among other contributions to the industry, Schwarz helped American brewers to create their own version of Bohemian beer. Griesedieck was a member of Schwarz’s first graduating class at the brewers’ school. He also studied the craft in Weihenstephan, Bavaria. In doing so, he followed the lead of his brother Bernard, who had studied in Weihenstephan in 1878-79. In 1884, Joseph returned to St. Louis to put his education and experience to use in the city’s brewing industry. The Griesedieck men arrived in America at a time of brewing industry growth. In 1865, national beer production stood at 3.7 million barrels. By 1870, the year of young Joseph’s arrival, it had almost doubled to 6.6 million barrels. By that time, German-style lager breweries had already gained a foothold in cities with large German-American populations, such as St. Louis, Cincinnati, Brooklyn, Chicago, and Milwaukee. In 1870, the St. Louis city directory listed thirty-six brewers and breweries, the majority of whom seem to have been of German extraction. In order to establish themselves, Anton Griesedieck and his brothers developed partnerships with other German brewers in their community. Frank (or Franz) Griesedieck, the first of the brothers to arrive in St. Louis, founded the Brinkwirth & Griesedieck brewery with another German immigrant, Theodore Brinkwirth. In keeping with their heritage, the brewery specialized in lager beer. By 1867, Henry Griesedieck had established the Frieling & Griesedieck brewery, and, as mentioned above, he and Anton Griesedieck went on to open a saloon in 1870. In 1878, Anton and his sons purchased the Stumpf Brewery, at 19th and Shenandoah. Within three years, they had outgrown the facilities, so they partnered with August Koehler and Robert Mueller to buy the Christian Staehling Brewery at 18th and Lafayette. Anton named this new brewery A. Griesedieck & Co. In 1884, upon returning to St. Louis after his studies in Weihenstephan, Joseph Griesedieck started working as superintendent of the brewery. He remained there until the latter part of the decade. During that time, he also worked as manager of Joseph Schaider’s Brewery Branch for a brief period. At the end of the decade – in June 1889 – the St. Louis Brewing Association was formed. The association was a syndicate of St. Louis breweries; its stockholders included Anton Griesedieck, Ellis Wainwright of Wainwright Brewery Co., C.G. Stifel of Stifel’s Charles G. Brewing Co., Henry Grone of Grone H. Brewery Co., and John Knauss of Klausmann Brewery Co. According to the St. Louis Post-Dispatch, by the end of the year, the association controlled every St. Louis brewery except those owned by Anheuser-Busch and Lemp. Within a few months of the founding of the St. Louis Brewing Association, an English company – the London Investment Company – began acquiring stock, causing concern in St. Louis that the company would obtain a majority of the stock and purchase the association. By November of 1889, it was rumored that the company owned 90% of the association’s stock. The officers of the St. Louis Brewing Association frequently dismissed speculation about how much capital and control the London Investment Company held over its breweries, but this did not prevent the association from being known as “the English Syndicate” to some in St. Louis. At about this time, Joseph Griesedieck left his father’s brewery (and, by extension, the St. Louis Brewing Association) to establish his own brewery, the National Brewery Co., along with his brothers Henry, Jr., and Bernard. Their brewery opened in 1891 at a cost of $400,000 ($9,890,000 in 2010). Joseph served as superintendent, Bernard as secretary, and Henry, Jr., as president. The plant occupied several buildings at 18th and Gratiot in St. Louis, and included a brewhouse, a stock house, a machine house, a boiler house, a bottling house, a washhouse, and a packing and shipping house. The brewhouse alone was seven stories high. At its inception, the National Brewery was able to produce 150,000 barrels per year. After the turn of the twentieth century, a number of independent St. Louis-area breweries began to consolidate in response to the St. Louis Brewing Association. In May 1907, after two years of discussions, the Independent Breweries Company (IBC) filed its papers of incorporation. The merger consisted of nine St. Louis-area breweries, including Griesedieck’s National Brewery Co. The syndicate held an aggregate capital of $7 million ($168 million in 2010). The two largest breweries in the area – Anheuser-Busch and the William J. Lemp Company – still remained independent. Two days later, the incorporated companies agreed to transfer all of their property to IBC. Henry, Jr., served as president of the newly formed IBC, and Joseph as general manager. Unfortunately, the IBC turned out to be a losing venture and the company eventually went into receivership. Alvin Griesedieck, Joseph’s son, later attributed IBC’s failure to the fact that some of the brewers had misrepresented their profits prior to the merger, and more importantly, to IBC’s decision to continue paying partners the same salaries they had earned prior to consolidation. According to Alvin’s recollections, his father once explained that this decision meant that a man who worked as a stable boss was earning $15,000 a year ($359,000 in 2010). The IBC’s overhead was simply too high to be sustainable. The IBC eventually found renown through its production of root beer, which is still sold in the twenty-first century. Within five years of IBC’s founding, Henry Griesedieck, Jr., recognized that it would fail, and he resigned from its presidency. He then formed the Griesedieck Brothers Brewery Company (GBBC) with his sons Anton, Henry, and Raymond. After some prodding, he convinced his brother Joseph to join GBBC, again in the role of general manager. By all accounts, it was an interesting moment for Griesedieck to found his own brewery. The United States was on the brink of entering World War I, with the formal declaration of war against Germany and the other Central Powers coming in April 1917, just one month after the GBC began operations. By the end of 1917, the American brewing industry was feeling the effects of the war, not least because President Woodrow Wilson, as part of a plan to regulate food production to increase efficiency during wartime, had decreed that beer could contain no more than 2.75% alcohol and had restricted the amount of grain the industry could use by almost one-third. German and German-American brewers faced further obstacles on account of their ethnicity. In the St. Louis metropolitan area, even with – or perhaps because of – its large German population, all things “Kaiser” came under fire. Some area school boards banned the teaching of the German language. Evangelical Lutheran ministers stopped using German in churches in St. Louis and its surrounding suburbs, and individual churches dropped “German” from their names. Things of German origin were given new “patriotic” names: sauerkraut became “liberty cabbage,” dachshunds became “liberty pups,” and the German measles became “liberty measles.” The threat of violence against Germans and German-Americans, though rare in practice, loomed large. All things considered, it was not exactly the optimal moment to establish a new company with a German name. Additionally, the long-simmering temperance movement had seized upon the growing backlash against all things German to further its push for national prohibition. As Daniel Okrent argues in his history of the rise and fall of Prohibition, the “beer industry’s indelible Germanness” had long been subject to attack from the temperance movement, but the war made these arguments even more potent. 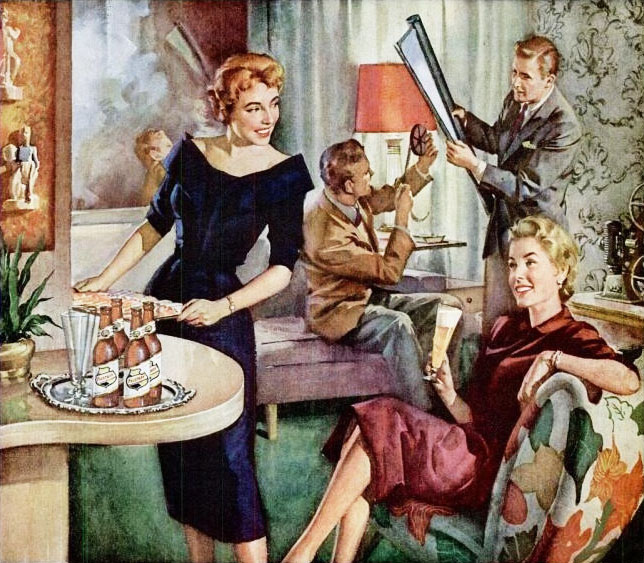 Americans who had been neutral or opposed to the dry movement up to that point found their views changing as they became increasingly concerned about potential enemy agents lurking in their midst – or in their breweries and saloons. In the eyes of xenophobes, fighting beer was akin to fighting the Kaiser. St. Louis’s most prominent brewing family only added fuel to the fire. The Busches had prominent and well-known ties to the Kaiser and his army. Two of the family’s sons-in-law were officers in the German military, and Adolphus Busch had been decorated by the Kaiser himself. Moreover, the family held German war bonds, though these had been purchased before the United States entered the fray. Worse yet, matriarch Lily Busch spent the majority of World War I at the family estate in Germany. She had been vacationing when the war began, and was unable to return immediately on account of health reasons, though this fact was often overlooked in attacks on the family’s loyalty to the U.S. 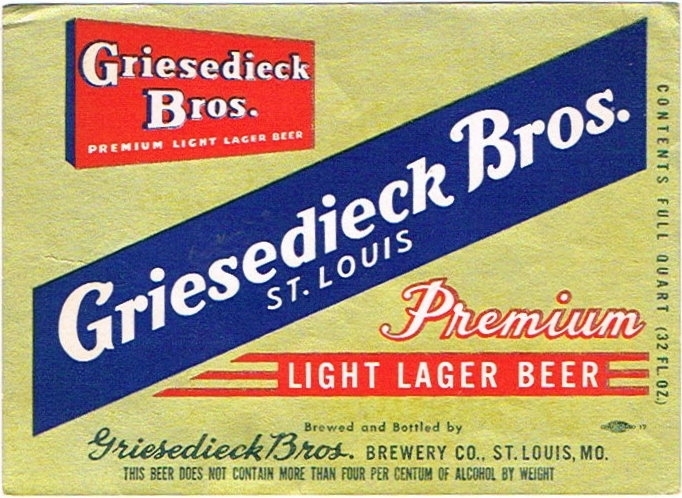 Despite growing tensions and the certainty of difficult times ahead, Griesedieck was convinced that brewers could survive by selling “near beer” to the St. Louis population. He had seen brewers cope with war-related restrictions that had capped the alcohol content of beer at 2.75%, and he thought that the beer industry would be able to adopt similar survival strategies in the event of national prohibition. He seems to have believed that if “real” beer were outlawed, then it would only be a temporary setback that he and his family could outlast. Prohibition and the Volstead Act meant that the Griesedieck Beverage Company needed to produce a near beer, or cereal beverage, to stay in business. Since Griesedieck believed that the similarity between the names – and initials (GBC and GBBC) – of the two Griesedieck companies would lead to brand confusion in the St. Louis area, he decided to brew his near beer under a new label. Griesedieck hired a man to design a new label, and in the course of his work, the designer stumbled across hek, a beverage produced by Egyptians in 1500 B.C. Hek was produced from cereals and fermented, a process that resulted in a drink somewhat similar to beer. In Griesedieck’s eyes, Hek was a perfect fit for GBC’s marketing strategy for near beer. The Ancient Egyptians, according to history, were the first to brew a cereal beverage [ . . . ]. Their first brew was called – ‘HEK’ – the name for our beverage, because like the Egyptian monuments of old, it is the symbol of everlasting vitality. [ . . . ] HEK is refreshment in its most palatable form – a foamy, cooling, wholesome drink, rich in the carbohydrates and protein of Nature’s strength building cereals. HEK is a sparkling, invigorating,non-intoxicating drink, good for every member of the family, young and old. At first, Griesedieck limited his promotional efforts to the St. Louis market, since his plant was relatively small. In this market, Hek faced direct competition from Bevo, the near beer produced by Anheuser-Busch since 1916. Like Hek, Bevo was often promoted as a nutritious beverage. According to one Anheuser-Busch pitch plan, “Bevo is pure as purity. Made under conditions of absolute cleanliness. Every step in the process of manufacture and everything that goes into it, a triumph in purity.” Both companies sensed that the public needed a reason to purchase near beer above and beyond the fact that it was the closest legal approximation to regular beer. In order for Hek to succeed, Griesedieck needed to set his near beer apart from his competitor’s. Anheuser-Busch brewed Bevo under the check-fermentation process, which allowed the beer to ferment only up to the legal limit of 0.5% percent. Bevo did, however, continue to ferment after being packaged, and this, in turn, led to a very short shelf life. Unless Bevo was consumed shortly after being put on the market, it spoiled and turned cloudy. Griesedieck was determined to avoid this problem with his near beer. Bevo may have been better known, but Hek would be of better quality. Griesedieck purchased a dealcoholizer and began brewing his near beer according to Heuser’s method. Alvin Griesedieck later claimed that this allowed Hek to achieve better flavor and stability than any other near beer on the market, at least in the St. Louis vicinity – an opinion that was admittedly not without bias. Not long after the introduction of Prohibition, it became clear that the public would never consume near beer with the same gusto as the real thing. Many former beer drinkers found near beer less pleasing in taste, not to mention the absence of mood-altering effects. Once the novelty factor wore off, sales for near beer plunged. For this reason, the GBC began expanding into new territories, so that when demand diminished in one location, the supply could be redirected to another place. The company found success in this approach for a short time, and demand even exceeded the production capacity of their small brewing factory, which could only turn out 350-375 bottles per day. In response, Griesedieck decided to add a new building and to renovate the existing facilities. He sold stock in the company to fund this endeavor, but the incoming funds could not keep pace with cost of the project. On October 22, 1920, the creditors of Griesedieck Beverage Company filed an involuntary petition in bankruptcy, for approximately $450,000 owed ($4.9 million in 2010). The creditors agreed to let Griesedieck serve as receiver, under a bond of $50,000 ($544,000 in 2010). The GBC was certainly not the only brewery to fall victim to Prohibition. Brewers across the country were shutting their doors in the face of financial losses and uncertainty over the duration of the dry period. At the time, no one knew how long Prohibition would last: would brewers see Repeal in a year, a decade, or ever? They had to decide whether to muddle through by selling “near beer” and soft drinks or to dissolve their companies. After Prohibition had been in effect for a few years, more and more St. Louis brewers started opting for the latter. In 1918, the city directory listed twenty-seven breweries. By 1918, the year in which the Eighteenth Amendment was ratified, that number had already dropped to twenty. In 1922, only nine breweries were listed in the city directory. The breweries of Griesedieck’s former corporation, the Independent Breweries Company, were among those that had closed. Another significant St. Louis casualty was the William J. Lemp Brewing Company. William Lemp’s father, Adam, had started brewing German lager at his St. Louis grocery store during the 1840s. His beer soon gained favor among the city’s large German-American population. By December 1919, when the Lemps announced their plans to sell the brewery, the company had become the second largest beer producer in St. Louis after Anheuser-Busch. Their Falstaff label, brewed since June 1899, was nationally known. William J. Lemp, Jr., president of the family company since 1904, had chosen William Shakespeare’s Falstaff as the namesake of his flagship label because he wanted his beer to be associated with the character’s “eat drink and be merry” mantra. Out of this family’s downfall, the Griesediecks saw a way to save the Griesedieck Beverage Company while carrying on a piece of the Lemp tradition. Joseph and Alvin Griesedieck approached William J. Lemp, Jr., with whom Joseph was close friends, about purchasing the Falstaff trademark and shield, which they would use as the centerpiece of a new company. After some initial resistance from the Kemps, the Griesediecks acquired the Falstaff name and label for $25,000 ($305,000 in 2010), $5,000 of which had to be paid up front. For the remainder, they put up $20,000 in bonds as collateral, to be paid in nine months. In the meantime, the U.S. District Court had authorized Griesedieck, as receiver of the Griesedieck Beverage Company, to sell the company’s physical property. The receiver’s sale was held on December 17, 1920, with James Cunningham, the director at Chouteau Trust Company, winning the bidding. Griesedieck, who served on the board of directors for Chouteau, had arranged for the company to purchase the assets of the GBC, with each director taking on a share of the requisite notes. From there, the assets were transferred to the Falstaff Corporation, a newly organized company headed by the Griesediecks. The company then issued $250,000 in mortgage bonds ($3.05 million in 2010), of which the Chouteau Trust Company received $150,000 as payment for the purchase of GBC. Griesedieck personally endorsed the $150,000 in bonds ($1.83 million in 2010). The other $100,000 in bonds needed to be raised through sale to the public. Griesedieck sold these bonds mainly to his friends, who purchased them in increments of $1,000 or $2,500 ($12,200 or $30,500 in 2010), even up to $10,000 ($122,000 in 2010). 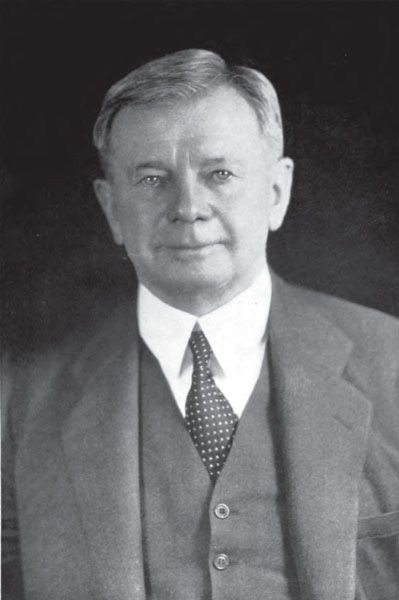 Griesedieck’s ability to sell bonds for a brewing company during Prohibition speaks to the reputation he had established in St. Louis. He must have been viewed as an intelligent, hardworking, dependable – and generally likeable – businessman in order for people to risk their money in such a venture. Alvin later quoted one investor as saying, “I don’t care if I’m shooting my money at the birds, Joe Griesedieck is in a jam and I’m going to help him out!” These financiers were ultimately validated in their trust of Griesedieck, as all of the bonds, plus interest, were eventually paid in full. Since Griesedieck’s new venture was known as the Falstaff Corporation, he decided to use the Falstaff label, rather than Hek, on his near beer. In Alvin’s estimation, a beer named “Falstaff” was better positioned for success in some of the company’s new conservative markets than a beer called “Hek.” Falstaff, with its trademark slogan “The Choicest Product of the Brewers’ Art,” also had better brand recognition, both at the local and national levels. While Griesedieck’s previous brewing ventures had focused on regional markets, the relatively well-known Falstaff label allowed him to reach markets as far away as Florida. The corporation produced four primary dealcoholized beers during Prohibition: Falstaff Special, Falstaff Pale, Falstaff Super X, and Dublin-Style Stout, which was modeled on Guinness. This last product eventually became fairly successful, selling for thirty to fifty cents a bottle ($4 to $8 dollars in 2010) on the Pacific Coast and South Atlantic seaboard during Prohibition. In July 1920, shortly after the start of Prohibition, the government began granting permits for “the manufacture and sale of alcoholic beer for medicinal purposes.” According to Alvin, the Griesediecks used their connections to acquire the only government permit issued to a company west of the Mississippi River. In November 1921, Falstaff began brewing beer with 4.5% alcohol by volume. 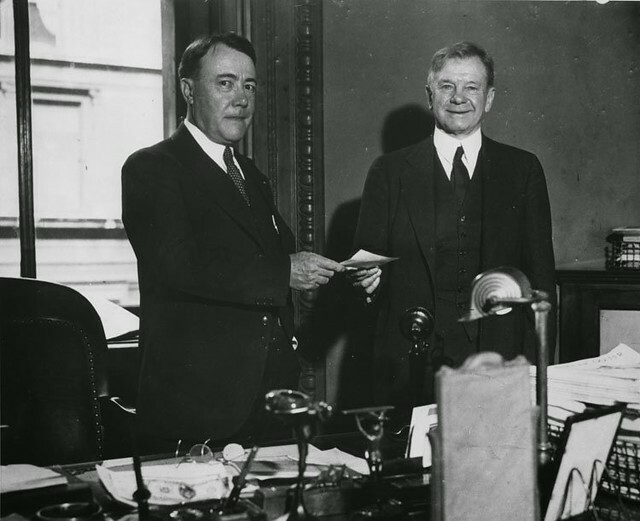 Before the company could capitalize on the demand, however, President Woodrow Wilson signed the Willis-Campbell Act, or the “anti-beer bill,” on November 23, 1921, which prohibited prescription alcohol. In December 1921, Falstaff Corporation filed a petition with the U.S. District Court. The petition declared the Eighteenth Amendment and the Volstead Acts to be unconstitutional and requested that the State Prohibition Director be prevented from destroying the medicinal beer already produced by Falstaff. The petition, however, did not request that the corporation be allowed to continue making or selling the beverage, which would have been a huge source of revenue. In 1924, the brewing industry pushed for the legalization of a malt product containing 2% alcohol by volume – four times the legal limit. As with the earlier measure, the malt product was to be sold through drug stores to individuals with a doctor’s prescription. Falstaff began producing a Bohemian malt tonic, dark in color and heavy in volume, which needed to be mixed with beer to be tolerably drinkable. The resulting beverage was a “quite pleasing” beer. But politicians quickly realized that Americans were using this malt product more than medically necessary, so they increased the solid to alcohol ratio of the tonic, which resulted in a syrup that was too thick to drink enjoyably, thus ending that venture. At this point, Griesedieck and his company determined that soft drinks, such as dry lemon soda, ginger ale, and root beer, would be their best bet to increase revenues, since those beverages could be produced under similar manufacturing conditions as beer. Heavy competition made it difficult for Falstaff Corporation to sell soft drinks outside of their immediate territory due, but the company’s root beer still earned a reputation as a high quality beverage. In the later years of Prohibition, the company also sold carbonated water under the label “Rock Alva,” named after the Griesedieck family farm. Despite their various products and labels, the Falstaff Corporation never produced more than 30,000 barrels a year, a significant reduction from their pre-Prohibition average. As a result, Joseph and Alvin decided to expand the focus of their company to include pork products. Alvin had prior experience with pigs and determined that their brewery already had many of the elements needed for a packing plant. Falstaff was not in a position to handle the entire production process, but they would be able to cure and smoke pork that had been partially processed from another local packing company. In 1923, the beer vats were removed from one of Falstaff’s smaller cellars in order to make room for twenty ham-curing vats. The company also purchased boxes for dry curing bacon. For a smokehouse, they assembled what Alvin termed “really nothing more or less than an overgrown chimney.” The whole process of converting part of the plant to handle ham and bacon cost the corporation approximately $5,000 ($63,900 in 2010). The Griesediecks hired John Van Gels, a butcher with a good reputation in the city, to serve as superintendent of the new operations. For a short time, Falstaff ham and bacon sold fairly well in St. Louis – especially their boiled hams, which could be sold to the company’s pre-existing tavern accounts. Overall, though, the rising price of pork products meant that Falstaff could not turn a profit on the venture, despite healthy sales. The Falstaff Corporation also experimented with the production of beer that circumvented the legal limits. Here, Falstaff’s efforts were inspired by the Missouri-based M.K. Goetz Brewing Company, whose brewmaster had developed a brewing and dealcoholization process that created a beverage that could absorb alcohol successfully. This method allowed the Goetz company to produce a 0.5% alcohol near beer that, when mixed with grain alcohol, could be spiked to 4.5 to 6% alcohol by volume, without sacrificing taste. Customers soon realized how easy it was to spike Goetz’s near beer, and company sales soared. In response, Falstaff decided to produce a similar product, but it never managed to replicate Goetz’s success. Since Falstaff could not advertise its near beer as spike-able, the company was unable to secure the same market share held by Goetz or other home brews. By 1930, the low demand for near beer had caught up to Falstaff, and the company started going into debt. Only one bank, the Grand National Bank, would provide them with a loan – $15,000 in exchange for $25,000 in Falstaff bonds. Luckily, by 1932, it became evident that Prohibition would be ending, so the company only had to endure until repeal. Finally, in February 1933, Congress passed a resolution proposing the Twenty-first Amendment, which would repeal the Eighteenth. In March, shortly after taking office, President Franklin D. Roosevelt signed the Cullen-Harrison Act, which allowed for the production and sale of beer and wine containing up to 3.2 percent alcohol by volume, to take effect on April 7, 1933. Then, on December 5, 1933, the Twenty-first Amendment was ratified, and Prohibition was officially over once and for all. Griesedieck recognized that the demand for beer would be high immediately following repeal. The Falstaff Corporation, however, did not have the requisite capital or facilities to produce sufficient supply. The Griesediecks worked out a deal with Bauer-Pogue, Inc., a brokerage company, to reorganize and refinance Falstaff. The deal was negotiated at a considerable expense to them personally. Alvin took on the bulk of the legal responsibility, which showed that he was starting to take on a larger role in the management of the company as “Papa Joe” approached his seventieth birthday. On January 16, 1933, the Falstaff Brewing Corporation of Delaware was duly incorporated, and in the summer of 1933, the Falstaff Corporation was officially liquidated. Papa Joe being handed the very first permit to brew beer again after the repeal of prohbition. The Falstaff Brewing Corporation obtained Federal Permit No. 1 to resume brewing beer as soon as the beverage was legal again, meaning that it was the first brewery authorized to brew beer in the United States in thirteen years. Since Papa Joe had used the dealcoholization process during Prohibition, the Falstaff production line was ready without the retooling needed by other brewers who had employed the check-fermentation process. It was only necessary to skip the dealcoholization step; all else remained the same. In St. Louis, only Falstaff and Anheuser-Busch were able to produce beer for Repeal Day, giving them each half of a very eager market – and more demand than they could possibly meet. The Falstaff Brewing Corporation received advance orders for thousands of cases, and its two bottling units helped them to produce up to 4,000 cases a day. 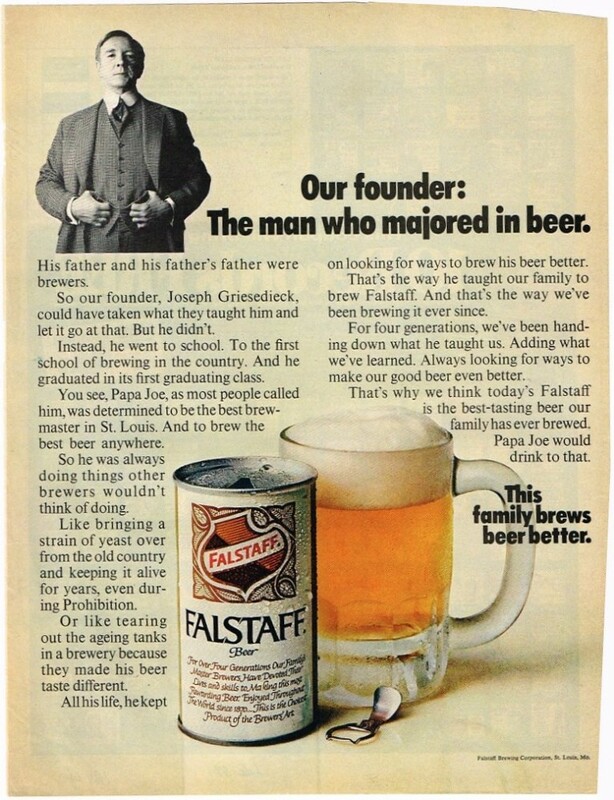 Griesedieck used his pre-Prohibition recipe for the new Falstaff beer; it was a malt beer “a little heavy in body and sweet in flavor,” with 3.2% alcohol by volume. Even the yeast was the same as before Prohibition. Griesedieck had kept his original strain alive through the dark period, even going so far as to insure it with Lloyd’s of London, which the company played up through its “Million Dollar Yeast Insurance Policy” advertising campaign. This consistency of yeast helped Falstaff keep its distinct, yet dependable, flavor. On April 6, 1933, stores throughout St. Louis ran advertisements proclaiming the return of beer the following day. The advertisements focused on the two brands that would be available: Falstaff and Budweiser. Weber Bros. Candy and Cigar Company on North Grand toasted newspaper readers with an image of a beaming man holding up a foaming glass of beer; the man urged would-be customers to “come and get yours (Falstaff and Budweiser) by the case…on ‘Brew Year’s Eve’.” A&P Food Stores warned readers “don’t wait!,” and urged them to grab cases of Budweiser or Falstaff from their limited supply. The first two cases from Falstaff, however, were carefully – and politically – earmarked; one case went to Governor Guy Brasfield Park of Missouri and the other to Governor Henry Horner of Illinois. At exactly 12:01 a.m. on April 7, 1933, the Noble Experiment was over and beer was back. According to the St. Louis Post-Dispatch, a “carnival spirit” gripped the city, as people flocked to Anheuser-Busch and Falstaff and crowded into hotels, restaurants, and nightclubs to imbibe and celebrate. Within half an hour of repeal, downtown hotels had their first cases in stock and were putting drinks on their customers’ tables. At Falstaff Brewing Corporation, the factory was decorated with patriotic bunting. An estimated 10,000 people gathered outside to cheer as the factory whistles blew at midnight and the first trucks left to make their deliveries, each carrying 600 cases. As many trucks as possible crammed into Falstaff’s garage, and those that could not lined up along both sides of Forest Park Avenue for blocks. The Post-Dispatch estimated that a total of seventy-five trucks were at Falstaff at midnight, with more arriving throughout the day. Falstaff officials reported that they had sent out 40,000 cases and 500 half-barrels by daybreak. Due to the imbalance between demand and supply, Falstaff focused on filling orders from local customers who had stuck by the company through Prohibition, but that did not stop other hopefuls from crowding around the factory for days. The fervor surrounding the factory was so great that police were on the scene to guard the doors. Falstaff Brewing Corporation’s preparedness provided a financial boost to the Griesedieck family, who had just barely stayed afloat through Prohibition and the early years of the Depression. With only two breweries operating in St. Louis during those first days, they could charge as much as they wanted and still find ample buyers. For the remainder of April, barrels sold for about $18.00 a piece ($303.00 in 2010). Cases of bottles sold for $1.75 to wholesale distributors ($29.40 in 2010) and $2.15 ($36.20 in 2010) to St. Louis retailers. Before expenses, the company brought in $106,000 ($1.78 million in 2010) in the first month after repeal alone. 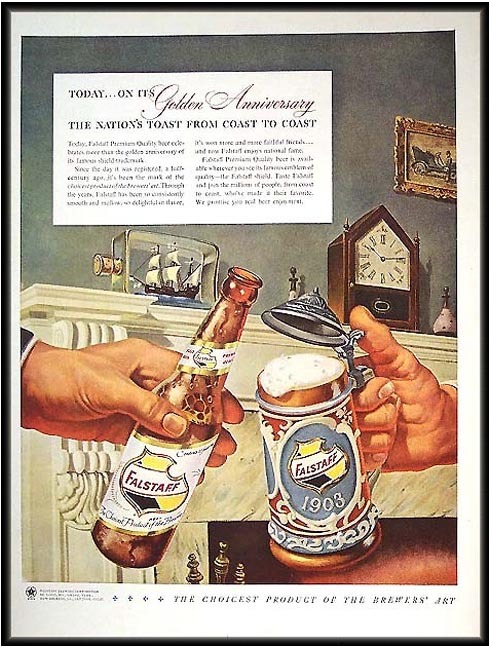 By the end of 1933, Falstaff Brewing Corporation was able to use beer revenue, as well as money raised from fundraising and stock sales, to fund the expansion of the plant. Building No. 7, which featured expanded bottling capabilities, was added to the Forest Park Boulevard complex. Another floor was built on the stock house, and a garage was converted into a fermenting house, to serve as Building No. 3. The Falstaff Brewing Corporation realized that further expansion was necessary, so the company acquired the former Union Brewery at Michigan and Gravois Avenues. The brewery had previously been owned by Otto Stifel, who was unable to keep his brewery afloat during Prohibition and took his own life in 1920. The Griesediecks converted the Union Brewery into Falstaff Brewing Corporation’s Plant No. 2 and brought on Stifel’s son Carl as plant manager. Other breweries entered the brewing landscape in 1934. The number of breweries operating in the country more than doubled from 1933 to 1934, as former businesses recovered and reopened, and as new ventures sprouted up to take advantage of the country’s renewed interested in beer. With other breweries appearing across St. Louis, Falstaff was forced to lower its prices to compete in the fractured market. In the winter months, the company’s books started showing a slight loss, so the Griesediecks had to devise ways to put Falstaff Brewing Corporation back ahead of the curve. They decided to turn the Falstaff label into their popularly-priced label and to make the Falstaff Super X their premium (and therefore higher-priced) label, which contained more alcohol by volume. The company also began selling Falstaff at Sportsman’s Park, the home of the St. Louis Browns baseball team, in 1934. In 1935, Falstaff Brewing Corporation expanded production to Nebraska, leasing the Fred Krug Brewing Company plant in Omaha. At the time, engaging in multi-plant brewing carried the risk of damaging brand identity by producing different-tasting products at different plants. Griesedieck sought to avoid that problem by implementing what Falstaff Brewing Corporation termed IPE – identical plant environment. A central technical department in St. Louis ensured that the same ingredients, recipes, and quality control techniques were used across the board. Two years later, after deeming the Nebraska plant a success, the FBC acquired an additional plant in New Orleans, the former National Brewing Company. As this quote suggests, the Griesediecks were highly involved in St. Louis social life. Joseph Griesedieck became a naturalized U.S. citizen on April 15, 1889, but this did not prevent him from celebrating his heritage as a member of the Germania Club and the Germania Thursday Bowling Club. The Germania Club met at an Eighth Street clubhouse, which had spacious grounds and a garden. The club’s summer season included festivals, concerts, and dances. Membership appears to have been restricted to males, though wives and daughters were invited to attend certain events. Griesedieck also belonged to the Century Boat Club and the Union Club. Despites his ties to the German community, Griesedieck showed his devotion to the United States during World War I – or at least endeavored to appear patriotic and to exhibit no loyalty to his native land. The Griesedieck Beverage Company helped sponsor several full-page advertisements for the St. Louis Liberty Loan Organization in the St. Louis Post-Dispatch. On October 13, 1887, Griesedieck married Mathilda Griesedieck, a cousin three years his junior. She was a native-born U.S. citizen, the daughter of Franz and Philippena Griesedieck of Missouri. Franz had been a brewer and his son, Henry C., was also involved in the industry. The Reverend Dr. Jonas of the German Lutheran Church presided over the wedding ceremony, which took place at a family home. The couple went east for their honeymoon. It seems that they had a peaceful and scandal-free marriage. Shortly before Joseph passed away, the pair celebrated their fiftieth wedding anniversary. Religion does not appear to have played a strong role throughout most of Griesedieck’s life, but he returned to Catholicism shortly before his death, according to his son. The Griesediecks had only one child: a son, Alvin, born on July 8, 1894. Papa Joe enjoyed a close relationship with him and made sure that he had every opportunity for a successful future. The Griesediecks sent Alvin to study at Cornell University, where he completed his degree in 1916. After a stint in the armed services during World War I, Alvin returned to St. Louis, where Papa Joe welcomed him into the family business. By the time Prohibition started, Alvin enjoyed a position of relative influence within the company, and he seems to have been a major force behind Falstaff’s pork line. At first, Griesedieck did not want his son to join the industry, however. According to Alvin, his father “seemed to feel that a successful brewer must of necessity do a lot of drinking and entertaining with, and among his customers, and he did not want his only son subjected to that type of life and environment.” This attitude is interesting given that Papa Joe devoted his whole life to being a brewer; while he often had other side businesses, the brewery was always his main focus. Additionally, the Griesediecks held positions of prominence within St. Louis society, so it is not as though he wanted his son to have a better shot at respect and esteem. It is possible that Joseph simply wanted his son to be able to choose the future he wanted, as opposed to being positioned at a young age to enter the world of brewing – as he had been by his own father. Griesedieck’s personal relationships were extremely important to him, and he cultivated strong, trusting relationships within St. Louis and the larger brewing community. In 1935, when Falstaff Brewing Corporation was doing well and the local Krug brewery was struggling, Griesedieck leased their brewing plant, so that the family could begin to rebuild financially. Griesedieck also cared about his employees, hosting an annual Falstaff picnic at his home each fall. It began as an event for his employees and their families, but grew to include friends of the family, as well. By the time of Griesedieck’s death, the picnic had become a huge affair for 1,000 people, filled with food, beer, games, dancing, and performances by the Falstaff German Band. Griesedieck, who was described by his son as 5’11” and almost two hundred pounds “of bone and muscle,” was an active and healthy man for most of his life. He exercised frequently and followed a regimen that involved walks around his estate, weight training, and cold baths. He also enjoyed rowing and participated in St. Louis’s Western Rowing Club and its regattas. Griesedieck often boasted to his son that he never needed more than four hours of sleep a night to recharge. It appears, however, that the stresses of keeping his company afloat during Prohibition and the Depression eventually took a toll on him, and in 1938, his health began to deteriorate. On June 12, 1938, Griesedieck suffered a heart attack, which led him to be hospitalized for several days. He was diagnosed with cardiovascular disease and hypertension, but Alvin later recalled the doctors saying that his father’s heart had simply worn out. Following his release from the hospital, Griesedieck found himself confined to home rest, which forced the formerly active seventy-four-year-old to cut back drastically on his activities. One month later, on the morning of July 11 – his seventy-fifth birthday – Griesedieck slipped and fell on a rug in his bedroom. He was taken to St. John’s Hospital, where it was determined that his right hip was fractured and needed to be set. Due to his recent heart troubles, the doctors could only give Griesedieck a local anesthetic to lessen the impact of the painful procedure. In Alvin’s estimation, the shock was simply too great for his father’s weakened heart to stand. Joseph Griesedieck passed away three days later, on July 14, 1938. His funeral was held two days later at the St. Louis Cathedral, and he was interred at Bellefontaine Cemetery. At the time of his death, according to the inventory filed in the St. Louis County Probate Court, Griesedieck’s estate was valued at $81,101 ($1.26 million in 2010). This included $68,945 ($1.07 million in 2010) in stocks, primarily in Falstaff, as well as holdings valued at $10,000 each ($155,000 in 2010) in Valhaus Realty and Ingram Gold Mine, Inc. Griesedieck’s properties were valued at $7,950 ($123,000 in 2010); this included his half interest in the Phelps Co. farm, whose 2,040 acres were valued at $5,100 ($78,900 in 2010). He left behind $1,950 ($30,200 in 2010) in cash. His estate was to be divided equally between Mathilda and Alvin. Joseph Griesedieck founded one of the most successful St. Louis breweries of the twentieth century. Along the way, he was aided by his family ties and his connections within the German-American community. As a member of a respected brewing family with a long tradition in the industry, Griesedieck was well poised for success. He was well educated and also benefited from good timing, for he embarked on his brewing career at a moment when lager brewers of German descent were gaining increasing prominence in St. Louis. He assumed his first position in the industry in 1884, when he began working as the superintendent of A. Griesedieck Co., his father’s brewery. During the early years of his career, Joseph helped manage two other family-owned breweries, the National Brewery Company and the Griesedieck Brothers Brewery Company. In 1917, with America on the brink of war with his native country, anti-German sentiment on the rise, and the temperance movement gaining ground, he set out to found his own company, the Griesedieck Beverage Company. By all accounts, it was a curious time for anyone – let alone a German American – to start a brewery. Prohibition was instituted the following year and remained in place until 1933. Interestingly, it was during this difficult time that Papa Joe Griesedieck really proved his merit, strength, and tenacity as a businessman and brewer. While brewers across the country closed their doors, Griesedieck kept finding new ways to earn revenue during Prohibition. At times, he resorted to the same methods employed by other brewers (e.g. soft drink production), but he also experimented with less conventional survival strategies, such as the addition of a pork line. In the end, his acquisition of the Falstaff label is perhaps the main reason why he was able to stay in business. Here, his ties to the local German community proved decisive, for he would have never acquired the label had he not been friends with William J. Lemp, Jr., the label’s owner and a fellow German-American brewer. Griesedieck used his knowledge of brewing to produce high-quality products, both during and after Prohibition, and this helped his brands gain respect and a customer base. On Repeal Day, Falstaff was one of only two St. Louis breweries that were open to customers, and Griesedieck’s preparedness helped save his company. He built upon his Repeal Day success and opened additional Falstaff breweries across the country. To combat one problem associated with multi-plant brewing – different tasting beer from different plants – he implemented “identical plant environment,” which standardized production across the board. In the decades after his death, Falstaff continued to grow into one of the most successful breweries in St. Louis, commanding a large national market. A Falstaff ad from 1969. 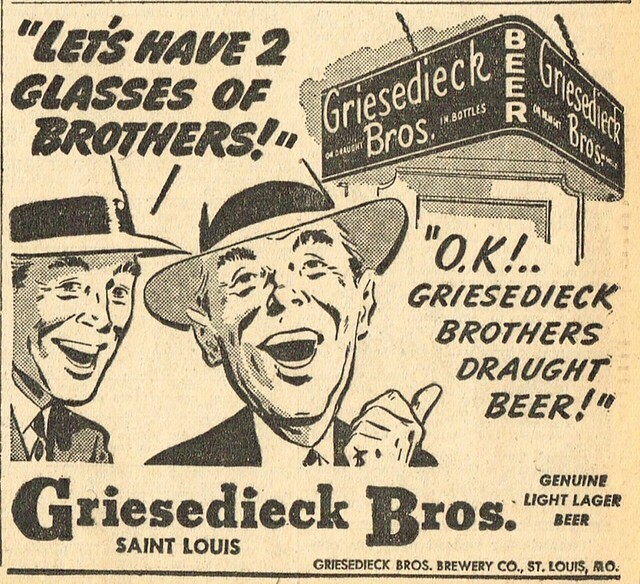 After finally selling to Pabst and closing down in 1977, there’s now a new Griesedieck Brothers in St. Louis that is currently contracting three draft beers that they’re selling in the area. Falstaff was the Giants’ 1st radio beer sponsor in 1958 & was the featured beer from in-stands vendors @ Seals’ Stadium. How long they lasted after the 1962 season I don’t know, as my family moved east 11/62. 1st season for me back in Bay Area was 1979 – Bud had taken over; Miller Lite had a major presence. Falstaff did not sell to Pabst and shutdown in 1977. In 1975, they sold a controlling interest to Paul Kalmanovitz’s S&P Corporation, which operated the General (Lucky Lager) Brewing Co., then headquartered in San Francisco. Kalmanovitz went on to buy Pearl in 1978 and, finally, in 1985, Pabst, but S&P ran the four companies – on paper, at least – as separate subsidiaries even though they often brewed each others brands, etc. The last Falstaff brewery, in Ft. Wayne, IN, closed in 1990, but S&P/Pabst continued to use the Falstaff Brewing Corp. name as a ‘dba’ for some of their beers, in particular the Ballantine ales until recently. Heh, yeah that was me being lazy and knowing Kalmanovitz at some point owned Pabst. Thanks for setting the record straight and keeping me honest. Any one know anything about the Hospitality House on Gravois and Salena across from the Falstaff Brewery at Lemp/Shenadoah/Salena and Victor.